Last year, US scientists analysing data from a NASA spacecraft reported that water flows during the summer months on Mars, raising the possibility that the planet long thought to be arid could support life today. Chilean astro-biologist Armando Azua believes the survival of life in the Atacama shows the existence of water on Mars is not necessarily a prerequisite for life. 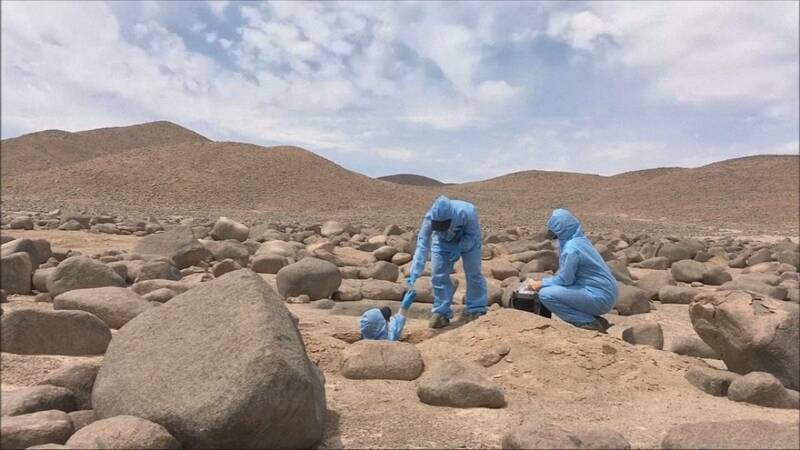 Scientists have found life forms such as fungus and micro-organisms in the Atacama. “Until recently, we believed that in areas of Mars where there was evidence of water, we would find or maximise our chances of finding life. What we are saying here is that we have found places just as dry as Mars on Earth and yet they are colonised by a variety of different microorganisms. ‘So we went back in search of life forms and said, you know what? There are areas where it previously looked like there was no chance of finding life forms because it was too dry, and we are demonstrating the opposite – that even when it is just as dry, life has been able to adapt to it,” he said. In the central valleys, researchers found 70 species of microorganisms. They have found bacteria in the desert which can withstand the intense sun and sustain life in the arid region without water. If Azua’s theory is proven correct, it could have a significant impact on the search for life in Mars and beyond. The findings have attracted the attention of NASA, which will send experts to Chile in March to look at the theory. “We have been analysing the Atacama Desert to understand how it can use the little water that it has to survive, and what are the molecular mechanisms and genes involved to explain this extreme tolerance to the lack of water. ‘On the one hand, we want to understand the basic science of how they are able to survive in such a dry place and on the other, we want to discover the implications in understanding this. ‘Knowing this means understanding the possibilities of finding life in Mars since it has characteristics similar to the desert. And the implications regarding the possible applications I can find to understand those mechanisms that allow it to tolerate extreme dryness,” added Armando Azua. If Azua’s theory is proven correct, it could have a significant impact on the search for life in Mars and beyond. The mission would help determine which planets could be inhabited by future human colonies if earth’s population continues to rise. “If we can demonstrate that in the Atacama desert, with the evidence that we have, that life is not only able to tolerate extreme dryness but can keep on functioning in this dry state, then that would open the possibilities of finding life not just on Mars but in other areas of the universe,” he concluded. The prospect of limited water on Mars and the existence of life forms has implications for future human missions to Mars. NASA’s goal is to land US astronauts on Mars in the mid-2030’s when the dream of landing humans on Mars would then become a reality.